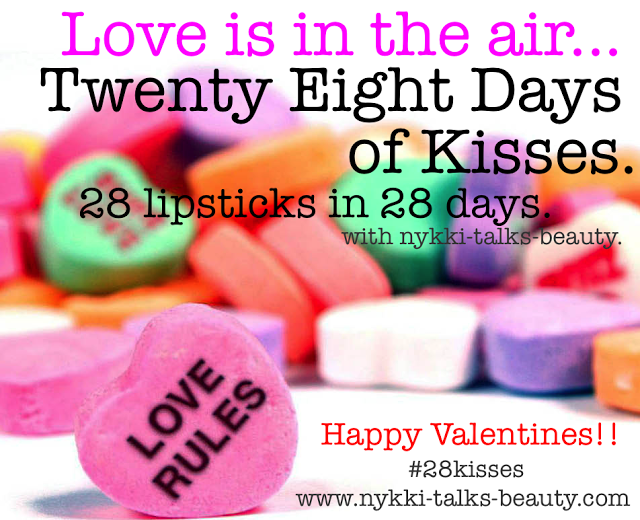 #28KISSES LIPSTICK TAG: DAY 2! Hi guys! 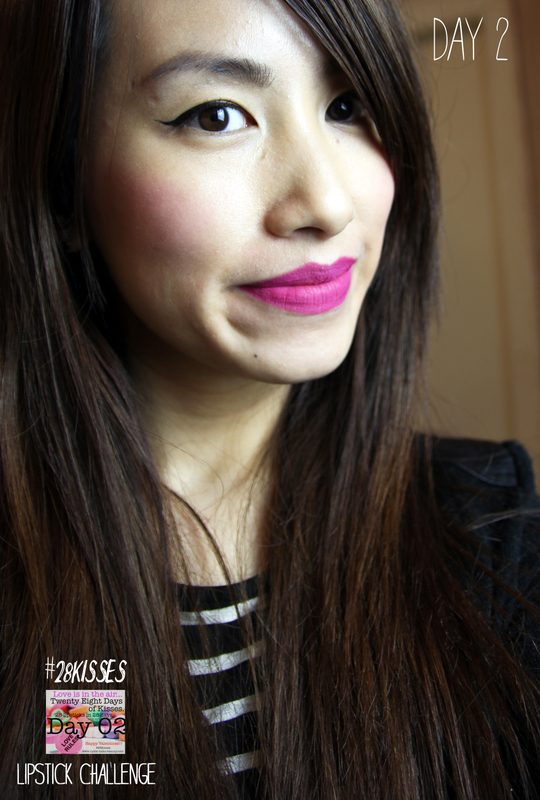 It’s Day 2 of the #28KISSES Lipstick Tag that I’m currently taking part in! I won’t keep explaining what this is though, if you’d like to find out more or would like to take part please visit Nykki’s Blog post HERE. My Lipstick of choice Today is another favourite of mine! I got it from Inglot which is on of my many most loved makeup brands! 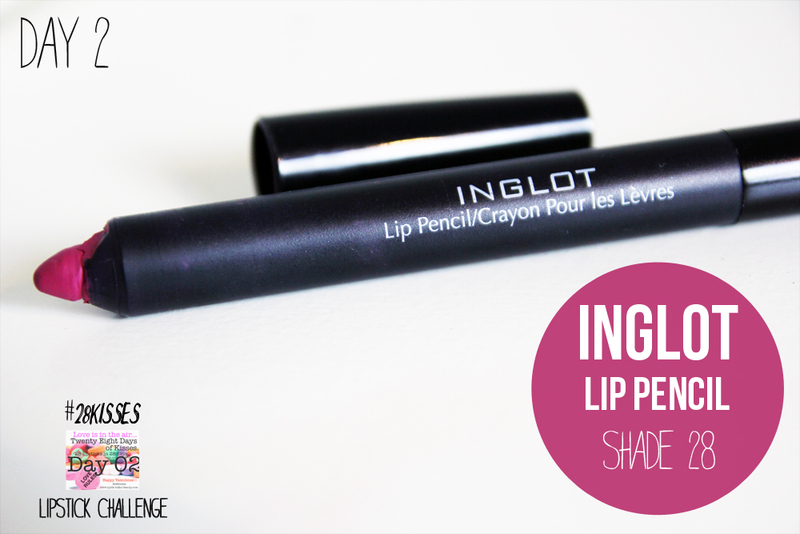 The Inglot Lip Pencil is a super pigmented matte finish Lipstick and I just love Shade 28! It’s super bright and the colour is just so beautiful! The photo shows off the colour really well, and you can see its a mix of Fuschia and Purple! This shade is really flattering for warmer skin tones. I’ve used quite a few supposedly moisturising lip sticks that still dries out my lips! However the matte finish of this Lip Pencil is non drying and super long lasting too! I’m starting to build up a nice collection of these which I’ll feature in this #28KISSES Tag at some point! So have you tried this lipstick or brand before? What’s your favourite? 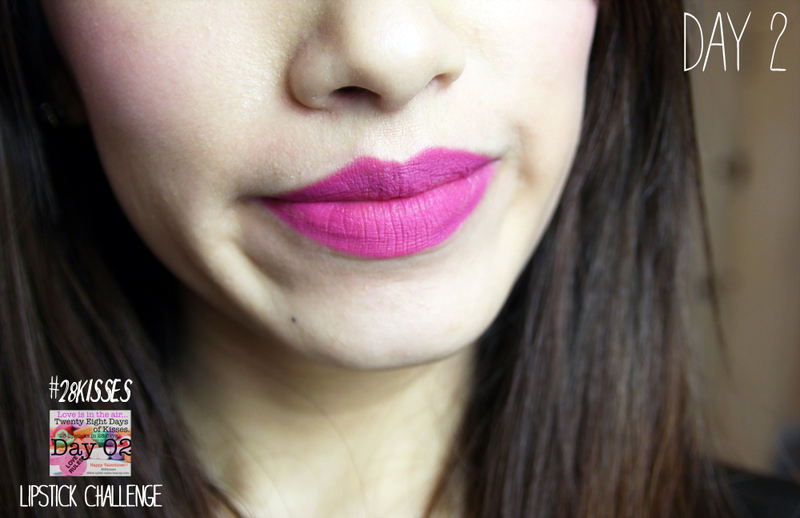 Tags: #28KISSES, inglot, INGLOT LIP PENCIL 28, lipstick, LIPSTICK CHALLENGE, LIPSTICK TAG, Purple hair. Bookmark the permalink. This colour looks so cute with your blush! I’m in love with this color!! I want! !